With more than 100 million members and managing $1.1 trillion in assets, credit unions are a growing force in the financial industry. 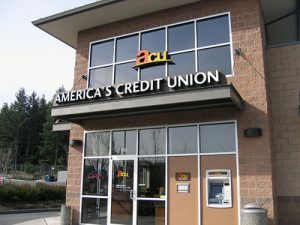 Many people have found that the benefits of credit unions outweigh the benefits of traditional banking and have move their accounts to a local credit union. Even bank customers should consider membership with a credit union to diversify their available options for financial products, like mortgages, balance transfers, car loans, or personal loans. 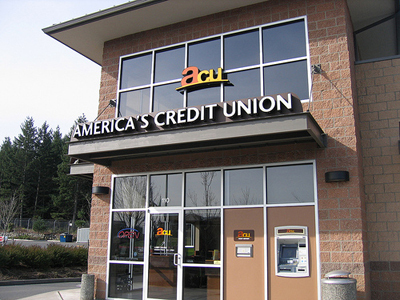 Here are some of the best reasons to join a credit union. One of the best reasons for joining a credit union is that credit unions typically charge lower fees than traditional banks. This is because credit unions have less overhead so they require less capital to operate. Credit unions are not beholden to shareholders, do not have to pay CEOs multimillion-dollar salaries, and do not have large staffs of employees to pay. Spending $15 or $50 to become a member of a credit union might save you money in the long term by relieving you from having to pay bank fees. Be careful to read all of the terms and conditions of the account before you sign up as many still charge penalty fees like overdraft charges at prices near to what a bank will charge. Credit unions may also offer more competitive interest rates on loans or a personal line of credit than a traditional bank. Depending on the amount of the loan, a decrease of a single percentage point in the interest rate charged could save the borrower hundreds of dollars in interest payments over the life of the loan. Combine the lower interest rates with better customer service and you have a winning combination for customers that choose to bank at credit unions. While many credit unions require members to live in a certain area or work for specific employers, there are at least 60 credit unions available that anyone can join. First see if there are any community-based credit unions in your local area where you will be eligible for membership by simply living, working or worshipping within the credit union’s boundaries. If there is not a community-based credit union available, consider joining a national credit union like the American Heritage Federal Credit Union or the Digital Federal Credit Union where all you have to do to join is make a deposit or pay a membership fee. These seem like great reasons to join a credit union, particularly the lower fees. It seems like banks these days are nickle and diming you wherever possible, so it would be nice to have somewhere to bank with more straightforward fees. Then you can save further money with lower interest rates, which makes this seem like a relatively straightforward choice. Thanks for the interesting article. Thanks for stopping by! Do let us know if you give credit unions a try. There are a few other good reasons to go with credit unions that I hope to discuss in an upcoming post. Take care and hope to see you around sometime soon!